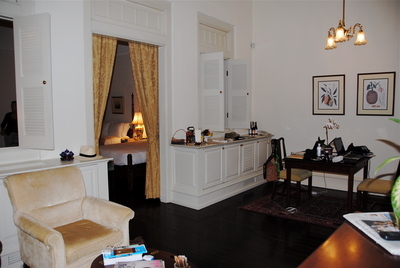 Raffles has been leading the way when it comes to 'staying in style' effortlessly for years. 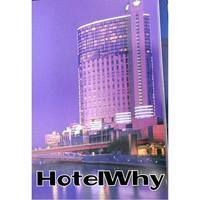 I hope it remains out front in the future, setting a standard for other hotels to aspire to. 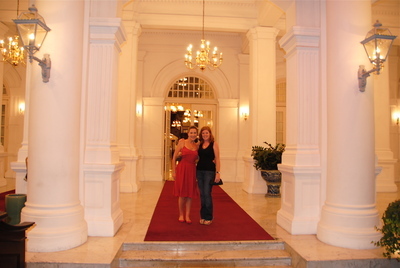 When you alight outside the portico at Raffles' entrance and walk up the red carpet you know you're in for a treat. 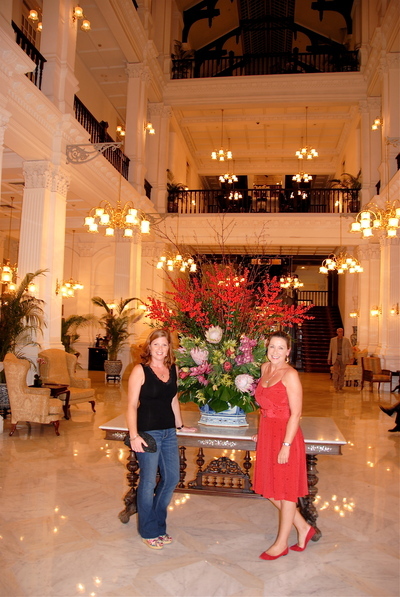 As you step into the cool white marble interior of the lobby, a grandeur of yesteryear surrounds you and you wonder if you're on a film set of an EM Forster novel. The white stucco exterior is shown off to its best at night, when it is beautifully lit in a golden glow. 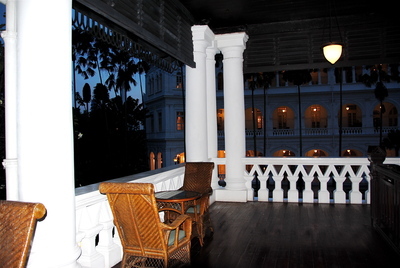 Our room had a generous outside area where we could take tea or sip on a G&T! 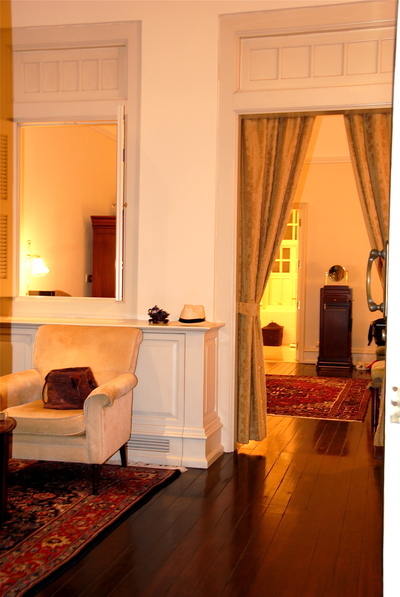 When we went into our suite we entered a parlour area, complete with sitting room and separate dining area! 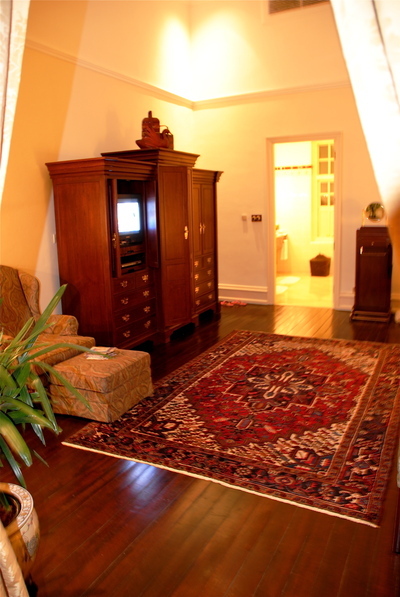 The ceiling height, polished boards, fabulous long velvet curtains and leaded windows all gave the feel of a colonial apartment from 100 years ago. 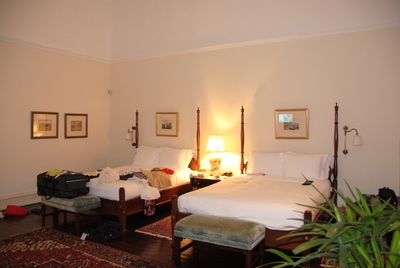 Our bedroom was vast, with two super comfy king size beds, and gorgeous old heavy set furniture. I could happily have lived there, not just stayed 3 nights. We had our own butler, (comes as a standard feature) who at the press of a button in the morning, arrived at our door with freshly brewed tea, as tho she'd been waiting for our call. 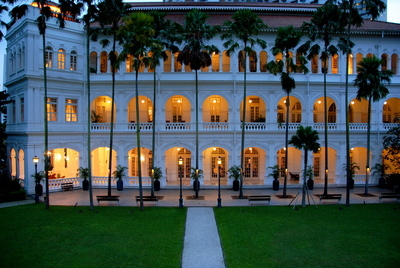 Even if you only do it once in your lifetime, I think a stay at Raffles is a must.